Singer and actress who made her Broadway debut in the Deaf West production of the legendary musical Spring Awakening. She also released the EP I'm Fine to SoundCloud in 2015. She was only twelve when she began writing her own music and would continue to channel her musical skill into musical theatre throughout high school. In 2012, her original single "Damaged" appeared in the comedy film Thanks for Sharing. 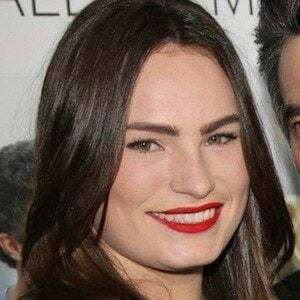 Her father is actor Peter Gallagher. Her mother's name is Paula Harwood and she has a brother named James who is a film director. She has a self-titled YouTube channel where she has posted a variety of song covers, including a cover of "FourFiveSeconds" with actress Sosie Bacon.